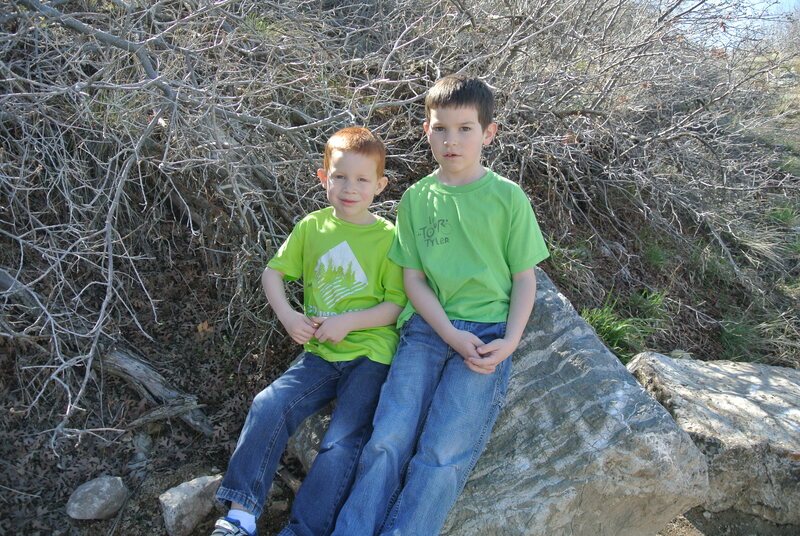 For spring break earlier this year our family took a trip down to Utah. 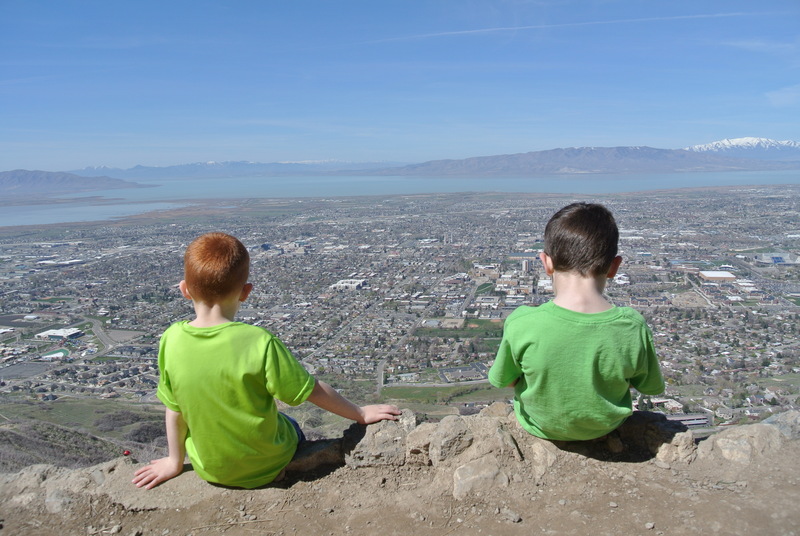 While we were there we decided to take our kids to hike to the Y in Provo. It’s not a long hike, only 1.2 miles, but it is steep gaining 1000 feet in that short distance. That, combined with the facts that the base of the trail is over 4,000 feet higher than the paltry 200 feet above sea level our home is at and that the mild for Utah spring day was as hot as our hottest summer months, meant we were taking our kids on the hardest hike of their lives thus far. Only a few of the infamous switchbacks into the hike and the kids were dying. It was hot. It was steep. And our poor sea level lungs were feeling the exertion. When we got there one of them grabbed my hand and said “Mom, I thought we were going to have to hike all the way up there, but the Y is only halfway up the mountain which isn’t as hard!” I assured him that he was right, the goal for that day was not the top of the mountain, maybe another day. Today our goal was the Y in the middle of the mountain and we succeed. His sweet realization and excitement touched my soul. It got me thinking about one of the most misunderstood doctrines of the gospel. Perfection. Sometimes I look at perfection as this big giant mountain that seems impossible to climb. It seems unconquerable. The amount of mistakes I continually make is frustrating. I am constantly sticking my foot in my mouth. I’m constantly doing stupid things, or worse, not doing the things I’m supposed to be doing. I am constantly aware of the follies of my mortality. When I stand at the base of the mountain and look clear up to the top it seems so far away. Sometimes I forget what the goal for my mortal life is. Heavenly Father is well aware that we will not reach perfection in our mortal life. So why is it continually mentioned to us as the goal we need to peruse? It is not expected that we will reach perfection in this life, however it is expected that we spend our lives in pursuit of perfection. When we realize that we are not being asked to reach the top of the mountain in this life it can help us recognize that perusing perfection is not the daunting task Satan makes it out to be, but a goal that as we constantly strive to achieve draws us closer to our Heavenly Father. So, what about the second half of that mountain? How do we scale that to finally reach perfection? Well, there are two answers, one I know, and one I don’t. The answer I know: The atonement of Jesus Christ. If we are striving to reach that Y in the middle of the mountain, giving it all we’ve got, the atonement of Jesus Christ is there to meet us. He justifies (fulfills punishment of) and sanctifies (removes record of) our sins as we sincerely repent. He applies grace, or perfects our best efforts after all we can do. We cannot reach the top alone. Jesus Christ is in the trail we follow. He is the food and water that sustain us on our journey. And ultimately he is the difference between success and failure. As explained in a previous post in Greek, the original language of the New Testament, one of the derivatives of the word perfect is the word complete. Just before our Savior was crucified he told us that on the third day he would be perfected (Luke 13:32). If you substitute the word perfect for complete it helps us to understand that even though Christ was sinless, he was not yet complete. He was not complete even as his Father in Heaven was complete. (Matthew 5:48) He was not yet complete until his mortal body became immortal. On another note, this also helps me understand more about why Christ, though sinless, needed to be baptized. I like thinking about striving to be complete in place of striving to be perfect. Being complete to me means that I work hard to make and keep my sacred covenants. It means that I am resurrected after I die. It helps me understand that I can be complete my mortal mission and test. It helps me understand that in my eternal life I can be complete as to many things but still have room to gain knowledge and grow in understanding and wisdom. As I further my understanding of what it means to strive to be perfect, and grow in understanding of the stepping stones available to help me, the mountain of perfection seems more and more achievable. It’s not going to be easy, but I know my Heavenly Father loves me and he will not ask me to do anything that isn’t safe or that he doesn’t think I can succeed at. He is not setting me up for failure, but is giving me opportunity to choose success grander than my mortal mind can fathom. With the Savor, Jesus Christ, I can become perfect. Help me further my understanding of perfection by sharing your thoughts in the comments below! STRIVING! It’s my favorite word! So much hope and happiness I that word! Agreed! I love it! Results are great, but effort may be more important!